Here’s your cheat sheet for Notorious B.I.P.A. by St Andrews Brewing Co. Featured in main subscriber box on 8 March 2018. ‘Black IPA’ isn’t the best name for a beer style, when you think about it. How can an India pale ale also be black? The problem is that no one’s come up with a better term. The IPA part is a nod to the hop-forward character of the style, and then we simply note that this style differs from a straight IPA because of its colour. Here’s some further reading on the style. Find the brewery on Twitter at @standrewsbrewco and on Instagram at @standrewsbrewco. This is a very tricky one to try to pin down in advance. It’s hard to know where the balance will lie between the malts used to achieve the dark colour and the hops used for bitterness and aroma. Online reviews mention flavours of blueberry, plum, coffee, lemon… They could be right, but how to be sure? It’s pretty much impossible to cook up a food pairing without know which flavours we’re expecting. Having said that, I’m going to stick my neck out a little and suggest Black Forest Gateau, or in fact anything based on a chocolate and fruit combination. 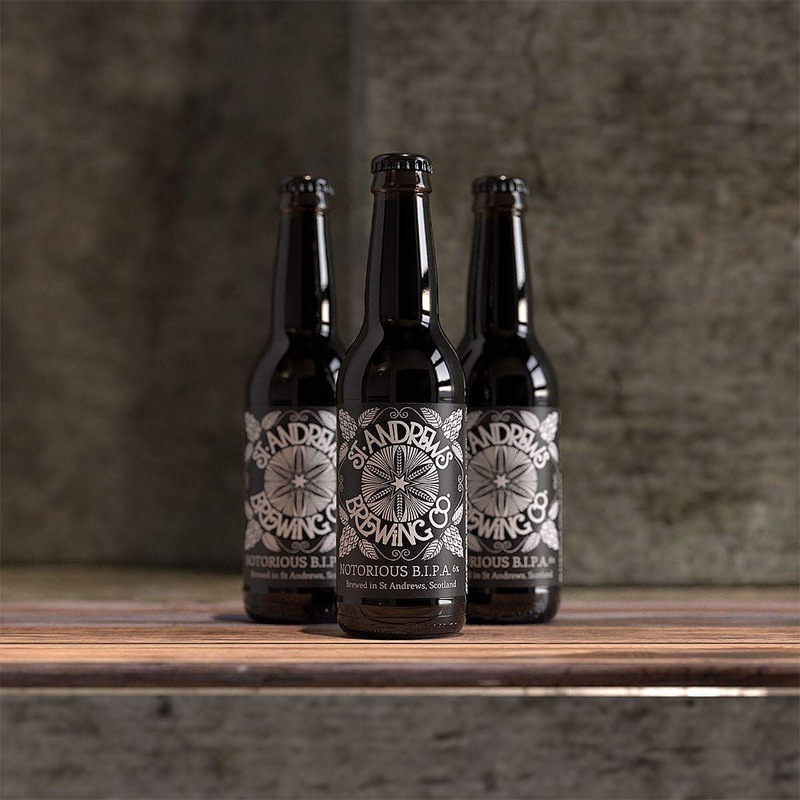 Read more on this beer from BeerBods and St Andrews Brewing Co.